Written by Emma Renowden on October 2, 2018 . Posted in News & Blogs. Bilbao, September 24, 2018 — The three winners of the 2018 Smart Ageing Prize were announced during the first day of the AAL Forum. 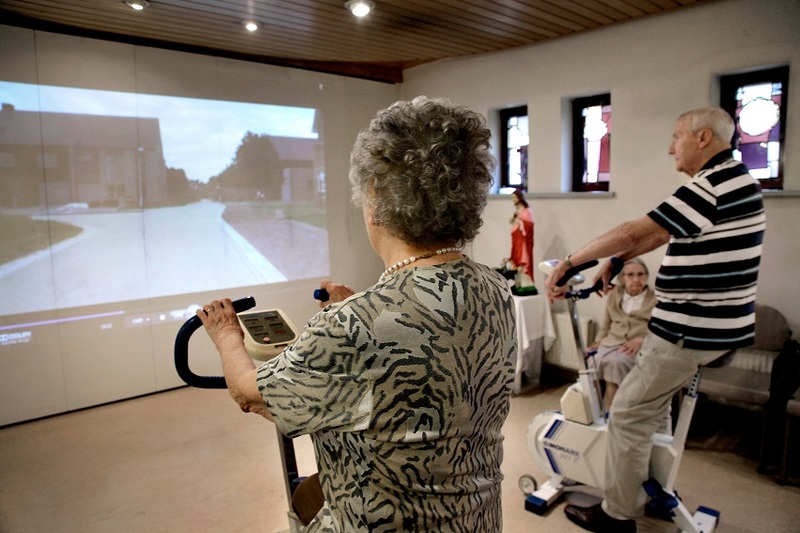 The Smart Ageing Prize, a collaboration between the Active and Assistive Living (AAL) Programme and Nesta’s Challenge Prize Centre, recognizes the issue of social isolation and loneliness among older adults, seeking digital technologies that facilitate real world interactions to improve quality of life, while ensuring that they are designed and promoted appropriately for the aspirations of these consumer groups. 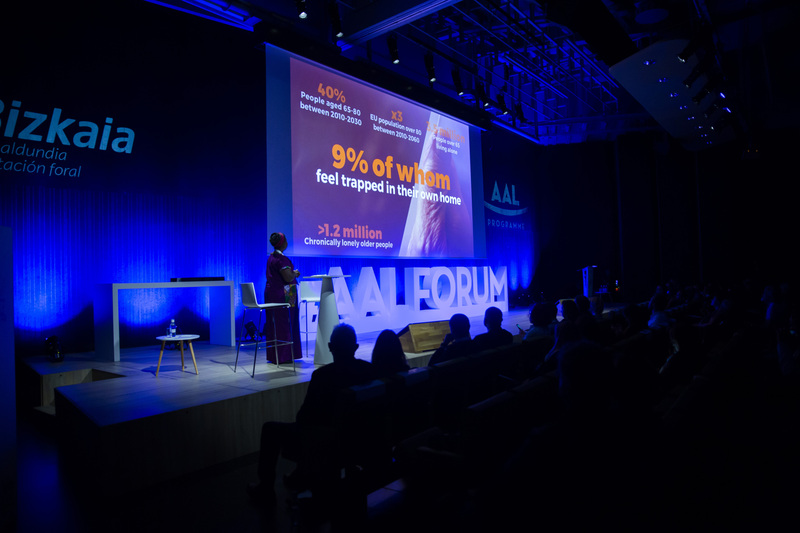 Five finalist teams had the opportunity to pitch their aspirational and innovative projects on stage at the AAL Forum, after which the results were announced. KOMP was proclaimed the overall winner of the challenge, winning the top prize of €35,000, while PlaceCal came away with the second place’s prize of €10,000. Refresh by How Do I came in 3rd place, winning €5,000. “Winning the Smart Aging Price is truly exciting, and I believe everyone involved in creating KOMP, from users and partners to team members, are proud of this acknowledgement. KOMP is an one-button computer designed to make communication between all generations simple. With KOMP, family and friends can share photos, messages, and make video calls. KOMP does not replace physical meetings, but it makes the time between them feel a little shorter. An unlimited number of family members can be invited to share moments through the KOMP app, giving every generation in the family the opportunity to participate. is developed with and for seniors (75+) with little to no technological competence. That is why KOMP has a high contrast screen, no touchscreen, a loud audio connection and only one button. PlaceCal is a partnership of community organizations, charities, social housing providers, government services, health providers, and citizens, working together to improve the quality, quantity and accessibility of community data to make smarter and better-connected neighborhoods that work for everyone. It’s especially aimed at helping people find out about the small local events that can be hard to discover: the coffee mornings, sewing groups, computer classes and gardening groups that might be just around the corner. PlaceCal is a website, but it’s also a conduit for event information that’s turned into posters, flyers, brochures, and local TV and radio broadcasts. Refresh by How Do I? is a mobile app and content creation platform designed to build confidence and support those with memory loss to live, work and socialize more independently, using step-by-step videos accessed at the touch of a mobile device Users record videos through the platform, which are vetted before being uploaded. Easily identifiable NFC (Near Field Communication) stickers link step-by-step video to the appropriate location through the app and a mobile device. Alternatively, video content can be linked to a calendar to support routines and social engagement. 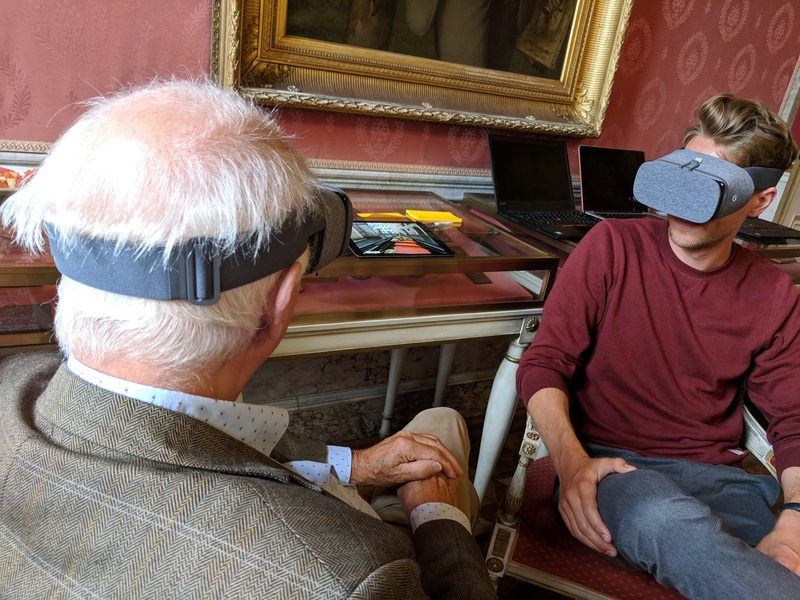 As digital innovation is at the heart of the Smart Ageing Prize, the teams awarded yesterday have the potential to change lives for the better. Written by Emma Renowden on July 20, 2018 . Posted in News & Blogs. In late May, the 15 semi-finalists in this year’s Smart Ageing Prize met in Brussels for a two-day mentoring academy. Watch the video to find out what happened there. What innovative ideas are our judges looking for? Eight industry leaders and experts in technology, design, healthcare and ageing from across Europe comprise the judging panel of the Smart Ageing Prize. The judges will decide the 15 semi-finalists and eventually the winners of the €50,000 prize. Find out below what each of them is looking for in an application – it might just be helpful for your submission! Written by Emma Renowden on September 12, 2018 . Posted in News & Blogs. The AAL’s Smart Ageing Prize is entering its most exciting phase after the judges shortlisted the 5 best teams of the competition. 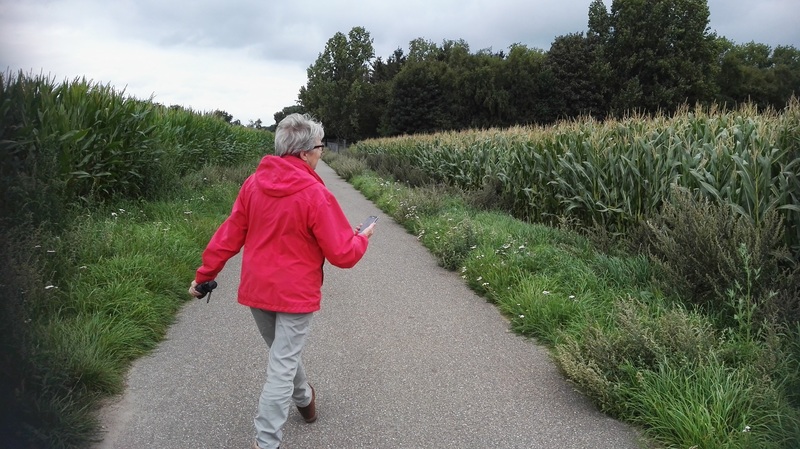 There are now only a few days to go to until the announcement of the winner of this European innovative prize which rewards the most innovative solutions for active and healthy ageing. A new report, the “AAL Market and Investment Report” has recently been published by the AAL Programme. The report, which has been implemented in the framework of the Market Observatory Support Action financed by the AAL Programme, has been developed in collaboration with Technopolis. 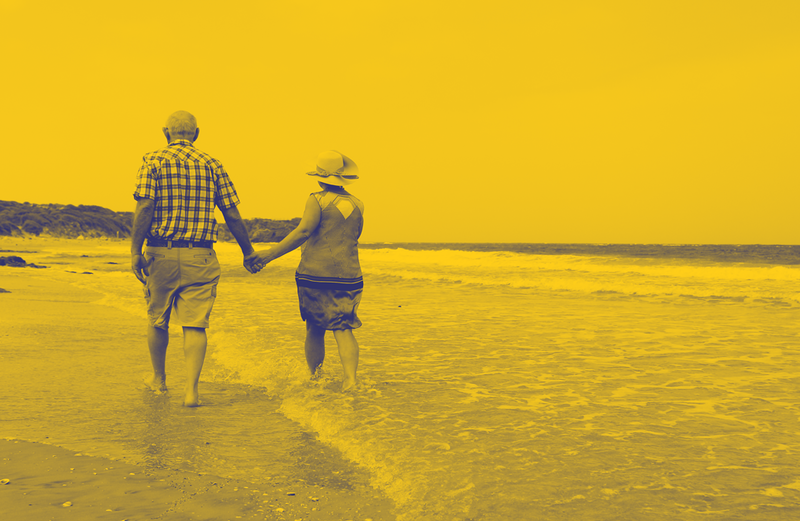 The Smart Ageing Prize is offering €50,000 for products and services that use innovative digital technologies to support older adults to participate fully in social life. 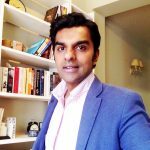 Dr Shabs Rajasekharan is a consultant for Smarter Futures EESV, supporting entrepreneurial teams to create new markets. He is one of the eight judges for the Smart Ageing Prize, run by the AAL Programme and supported by Nesta’s Challenge Prize Centre. With four weeks to go to the deadline, we spoke to Shabs to find out what he will be looking for from applications to the challenge. Hearing from our Semi Finalists: Walk it!, Sync VR, Life Manager, Refresh by How Do I? Written by Emma Renowden on August 21, 2018 . Posted in News & Blogs. With the semi finalists due to submit their business plans this week, we got in touch with them to learn more about their development, and how the Smart Ageing Prize has impacted on their work. Written by Emma Renowden on August 9, 2018 . Posted in News & Blogs. With the semi finalists due to submit their business plans in the next couple of weeks, we got in touch with them to learn more about their development, and how the Smart Ageing Prize has impacted on their work. 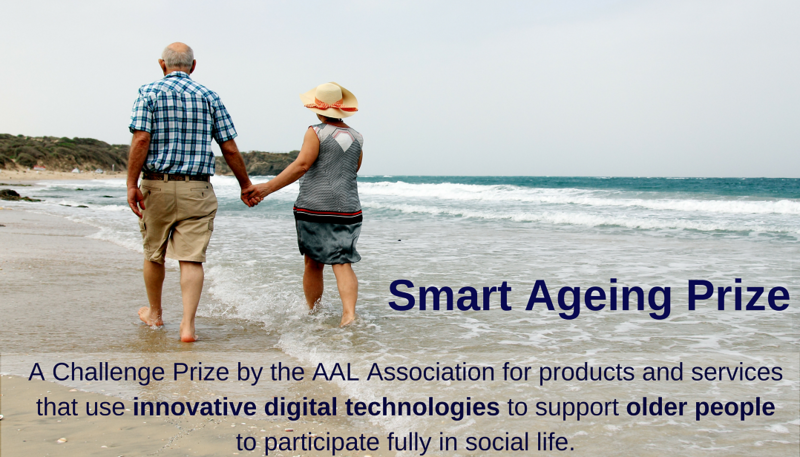 15 semi-finalists with products and services that use innovative digital technologies to support older people to participate fully in social life have been selected in the Smart Ageing Prize. The second collaboration between the AAL Programme and Nesta’s Challenge Prize Centre, the prize called for digital products and services that facilitate real world interactions to improve quality of life.